... it's really pollen on a puddle. Very cool, and truly so evocative of the tragic oil spill. Great shot. WOW! 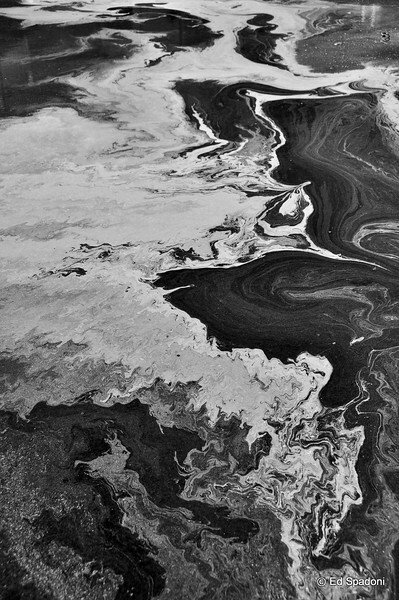 This is a wonderful image, and I love your analogy to the oil spill which is so tragic. Wow, your right it does appear to be a satellite shot, never would have thought it was a mere puddle. Great capture, I would have never guessed it was pollen on a puddle. Honest, if you hadn't told me it was pollen, I would have assumed some sort of satellite view. Very creative and well done but also a sad reminder of the oil spill crisis.